Even the most ideal venue can have a few challenging elements. 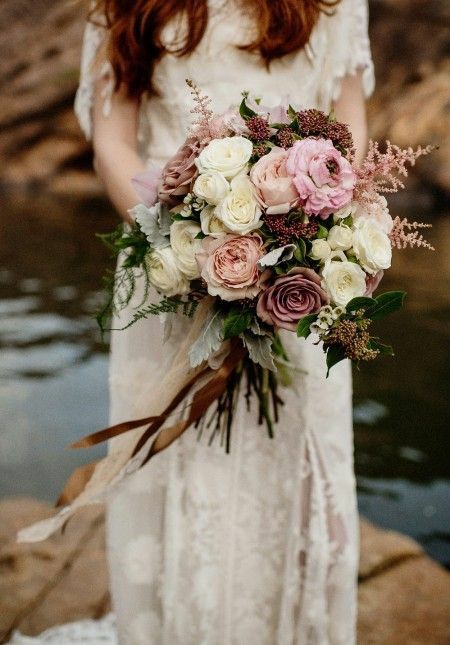 Whether your venue is drab or fab, flowers are a perfect way to dress your day! Using fresh flowers to conceal things you don’t love, or enhance the things you do, is a perfect solution; the bonus is that you can add color, life and impact while complementing your theme at the same time. Buy in bulk from a reputable online vendor and you will be surprised how much you can do, for an amazing price. 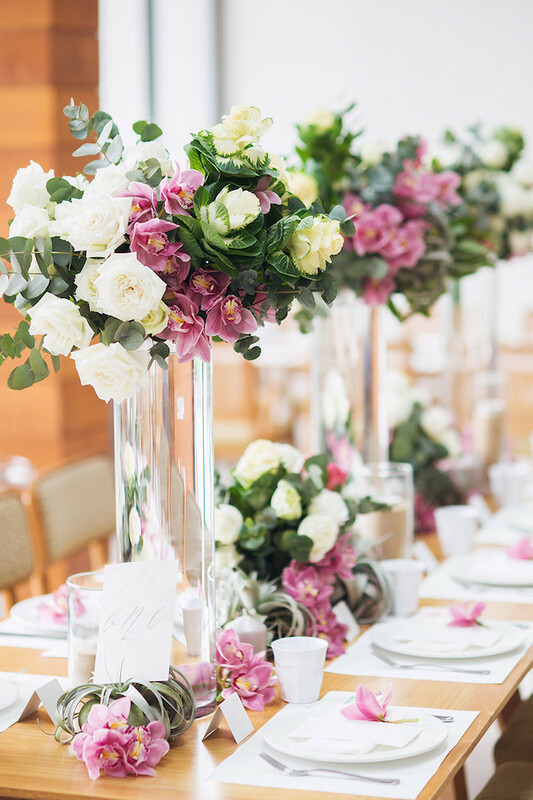 Check out these great tips for using flowers to make sure all the elements of your venue are at their very best. If the entrance to your wedding or event has a fountain, consider not having predictable water running full out from each tier. Adding fresh flowers to a tier instead of water converts a traditional concrete element into an instant style statement. This is sure to get your guests talking as they walk up to your big event. Try hydrangeas, snapdragons and longer greens like seeded eucalyptus. If there is a tree that you don’t love, or perhaps a few that you do, use fresh flowers to add an aerial focal point. 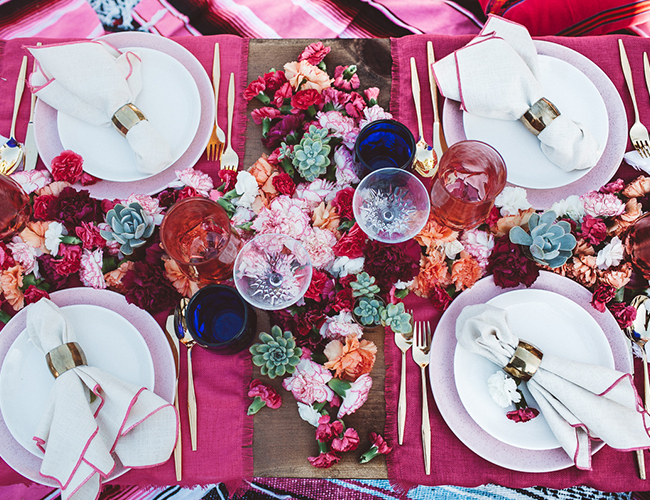 The pops of color will brighten the bark and enhance your wedding theme if you go for a coordinating look. These hanging pomanders (kissing balls) are perfect in this outdoor venue. Click to find out more about floral pomanders. 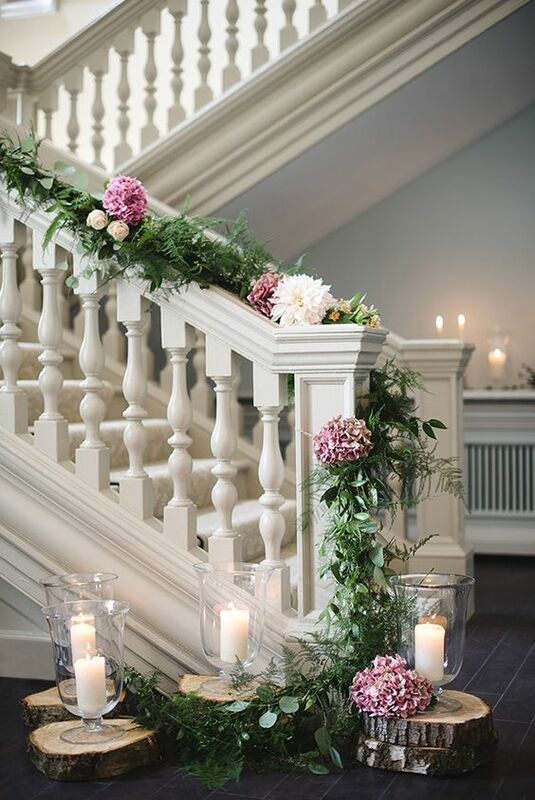 If your venue has a staircase, don’t overlook it! 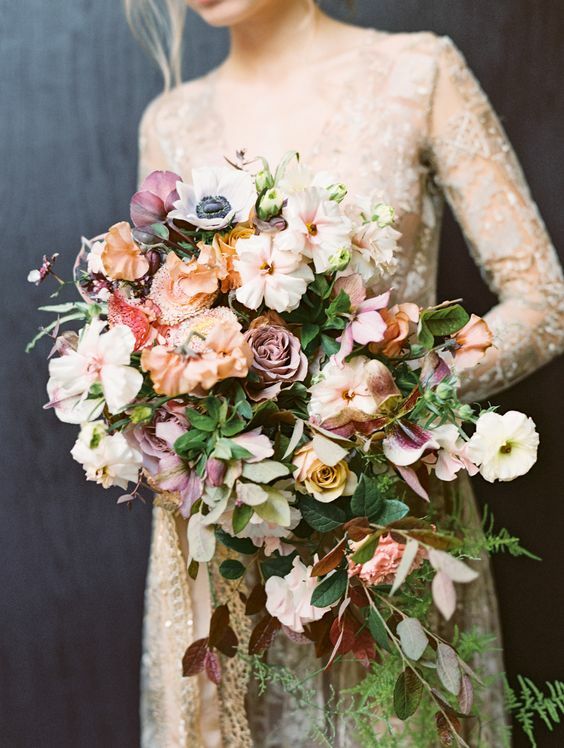 Enhance it with the addition of a garland of greens and/or fresh blooms in softly coordinating hues. 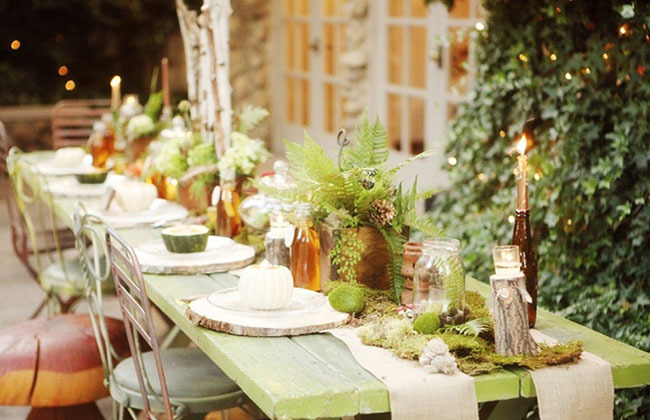 Adding candles and other creative touches is another way to add impact and guest enjoyment. A simple staircase can become something truly breathtaking! Don’t forget the overhead light fixtures at your venue. Some of these can be pretty drab and dull. 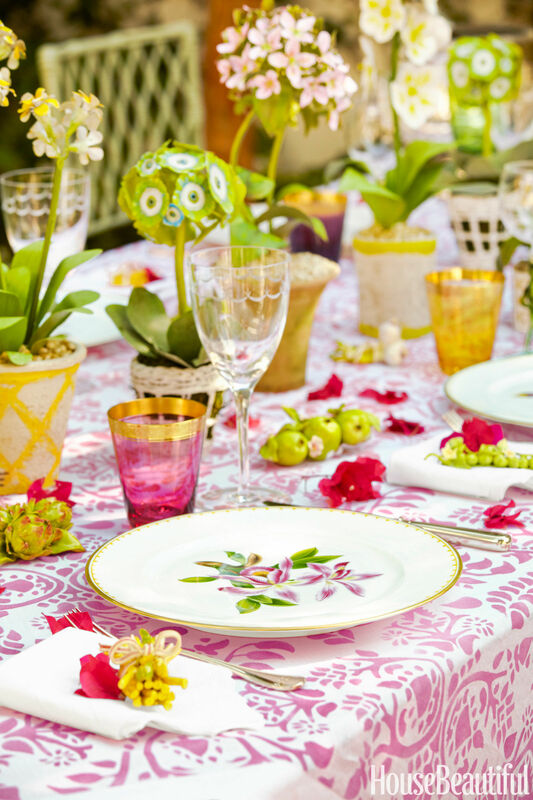 Hide the metal and add life and color to what is usually strictly utilitarian by draping your favorite fresh flowers and greens for a stunning visual display. Click to read more about Floral Chandeliers. If your venue contains a pond or a swimming pool, don’t miss the opportunity to add more flowers to play up this feature. 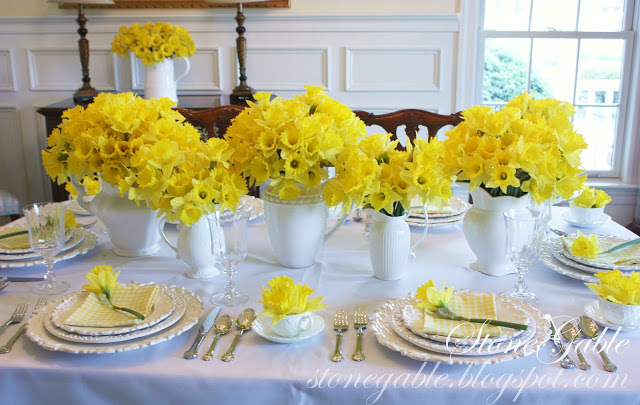 You can buy floating boards of styrofoam and plastic to hold beautiful floral centerpieces. Use hearty flowers such as ferns, daisies, mums, and lilies. Another idea is to float pomanders or even just to scatter rose petals or carnation tops on the water’s surface. Let’s face it, walls at the venue can be bare and drab without some added “wow” factor. Don’t overlook some added pizazz for any wall located behind a key element of your celebration, such as the cake or dessert table, bride and groom table, gift table or a bar. 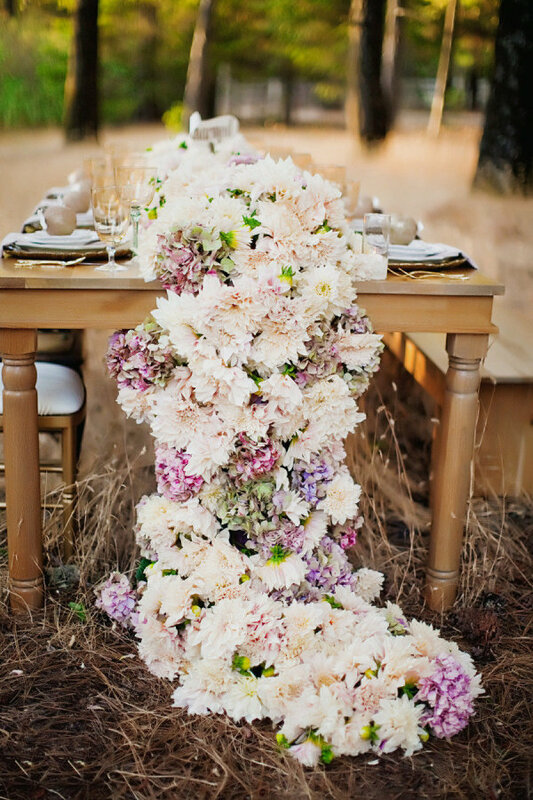 Create a lovely backdrop by using flowers to make a flower accent piece. 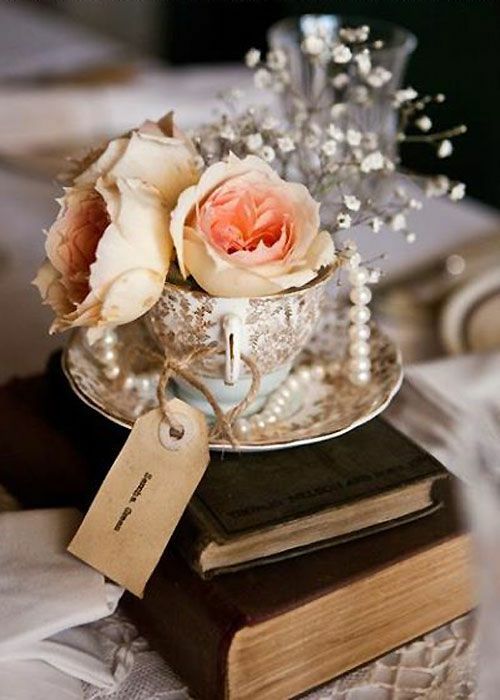 Another fun idea is to tape flowers, stem and all, to a backdrop, for a simple yet so interesting touch! 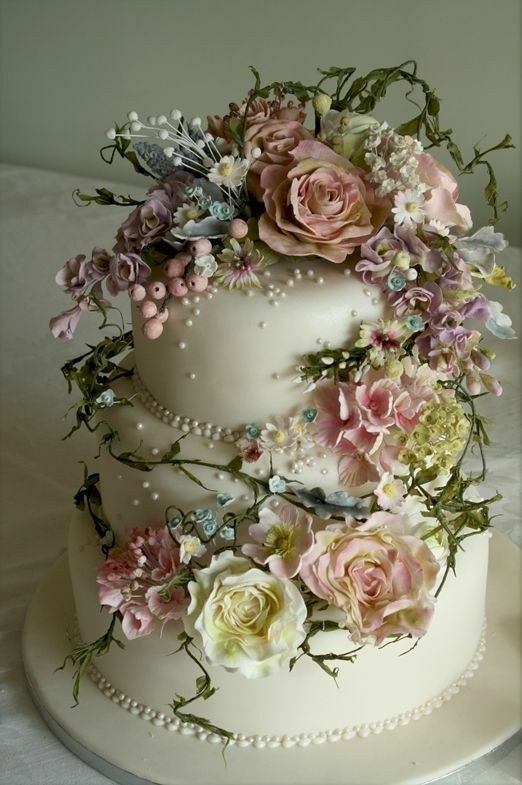 Click to read more about Floral Backdrops. 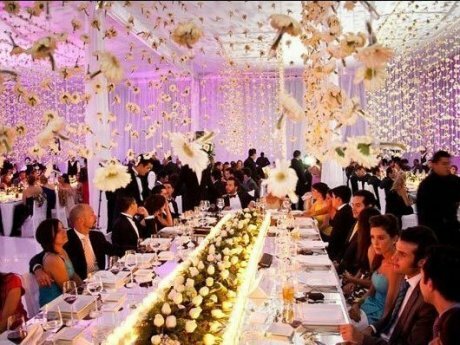 Everyone wants their wedding or event to be memorable and special. 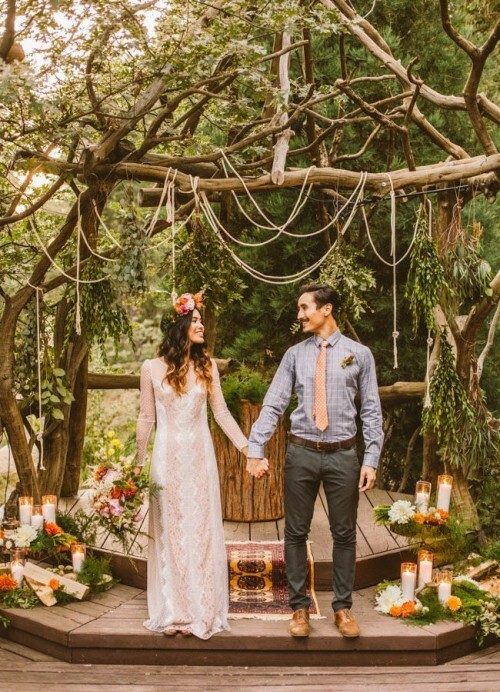 Flowers are a perfect way to add unique touches that will truly take your event to the next level! 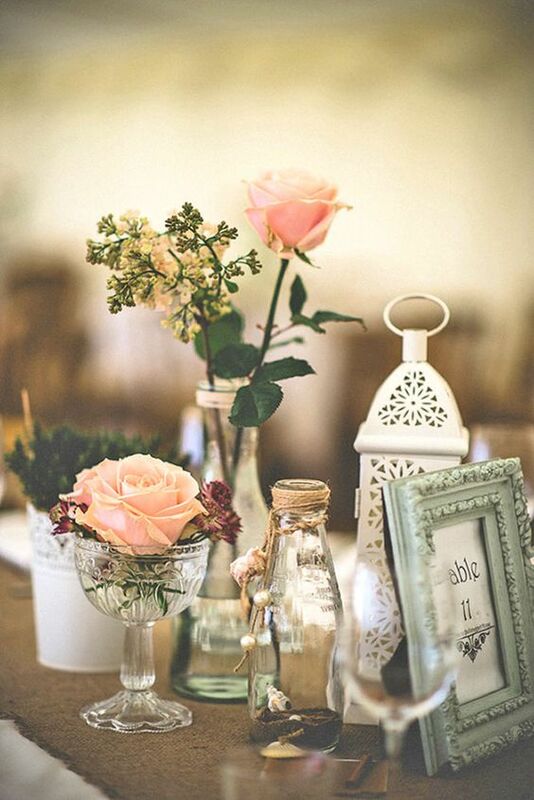 Most people think of the customary flower centerpieces for the tables, bouquets for the attendants, and perhaps some added vases of flowers for a welcome table or the buffet. Don’t stop there! We’ve gathered some remarkable ways to use flowers in more unexpected places to give you big impact. 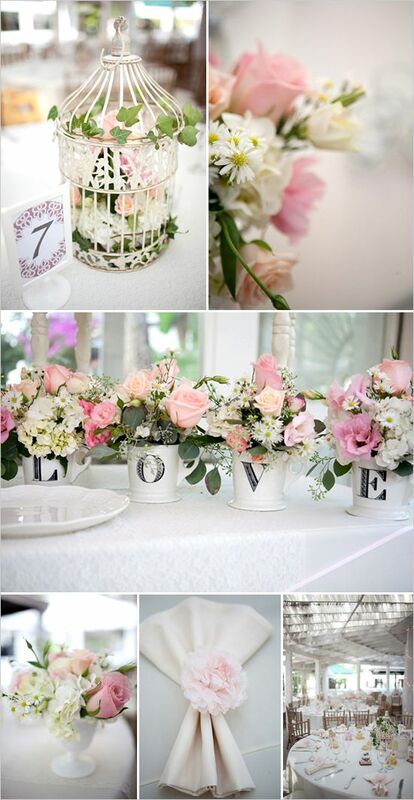 Adding a few of these flower details is sure to take your event way above the ordinary. 1. Frame a Doorway. 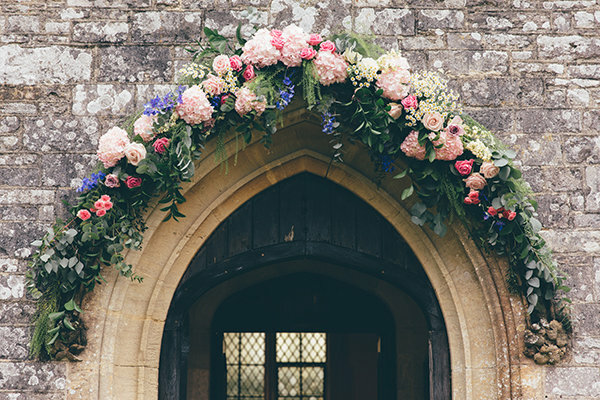 If you are marrying in a church, adding fresh flowers above the church doors is a beautiful touch that will personalize the venue and truly set your day apart from the rest. 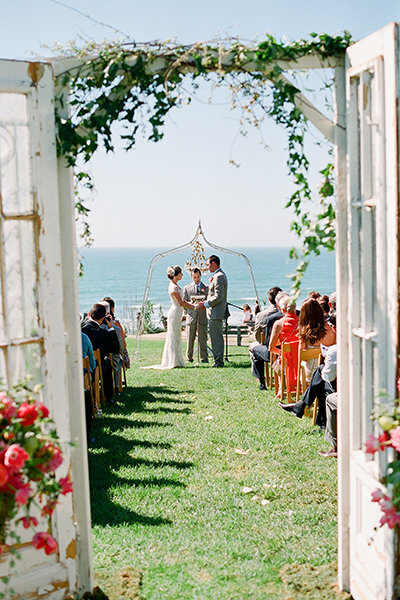 You could also add flowers above the entrance to the reception hall or other venue. They provide a gorgeous frame to make a lasting first impression! 2. Flowers along the Aisle. 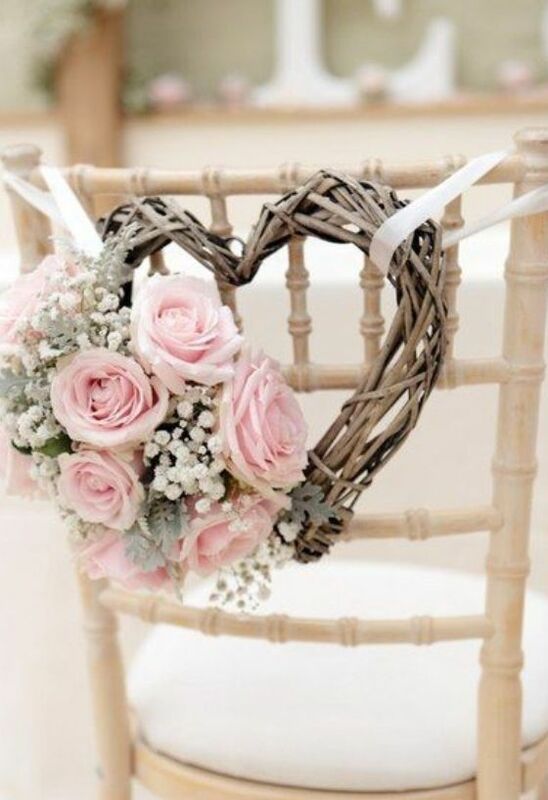 Don’t just tie small sprigs to the chairs, adding flowers all along the edges of the wedding aisle will create a very lush and memorable frame for the bride and her wedding party. 3. Garlands for the Tables. 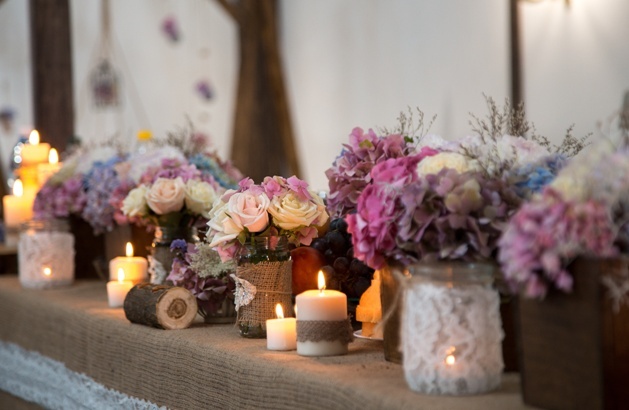 We have all seen vases or containers of flowers dotting the tables, but for even more “next level” impact, you can create DIY garlands with bulk flowers to create a big visual impact. Use a reputable online vendor like BunchesDirect for big savings. 4. Creating an Entrance for the Bride. 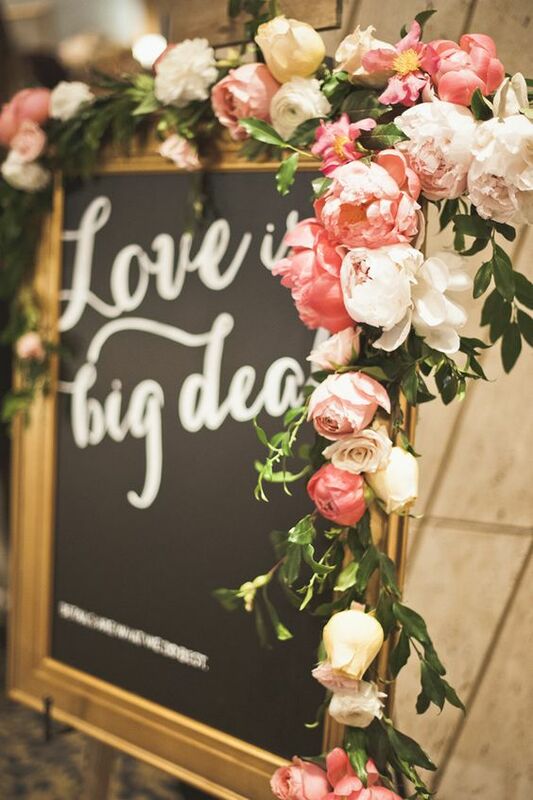 Use flowers to frame an old doorway, archway or another landmark item to create a memorable “grand entrance” for a bride or the most important person at the event. 5. Guest flowers. A thoughtful touch that will make your guest feel welcome, special and part of your day: Have a selection of beautiful fresh flowers available so they can add one to their outfit and join in your celebration. 6. Signs. Include a special quote, a welcome messages, directions to the bar, or guest seating charts on a pretty sign. 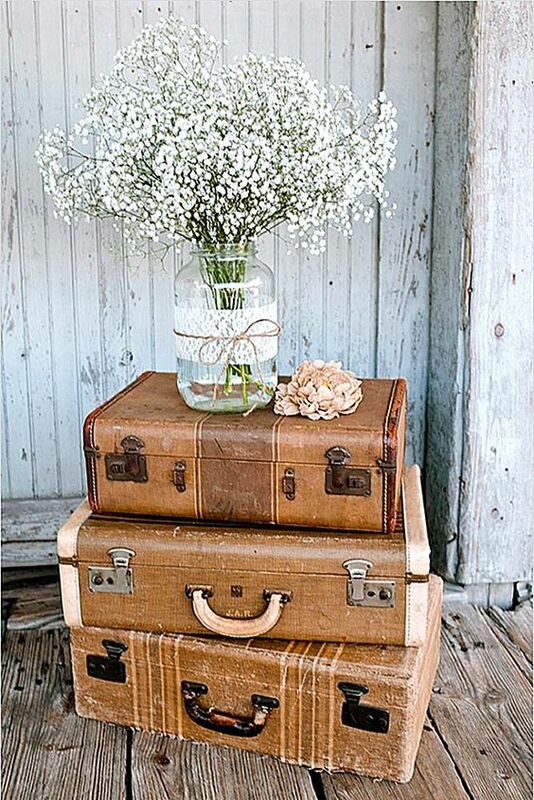 The possibilities are endless, but ALL of them are better with fresh flowers! 7. Look Up: Don’t forget the ceiling in the reception venue. 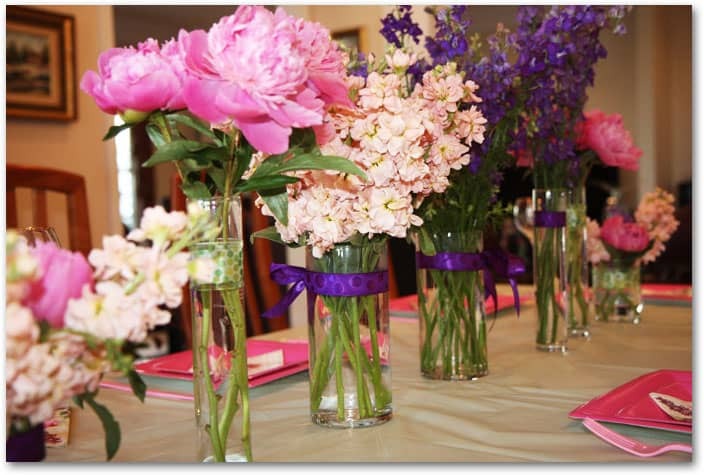 Hang fresh flowers on fishing twine or pretty ribbons and your guests will be buzzing! This is a unique and truly gorgeous addition to any space. Order bulk flowers online and you can actually do this, even if it’s on a smaller scale. 8. 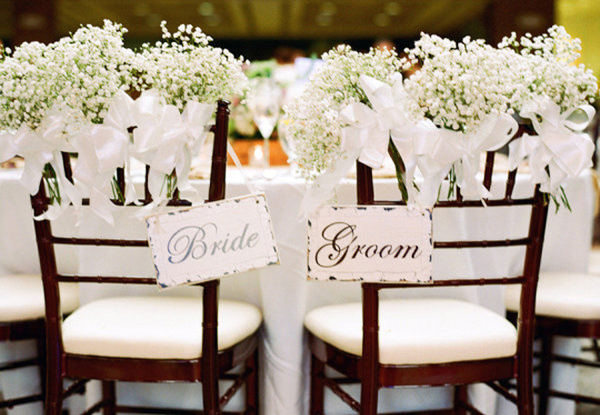 Bride and Groom Chairs. Don’t forget to adorn the special places where the married couple will enjoy their first meal. 9. Place Settings. Setting fresh flowers at each guest’s place is a very elegant touch and the perfect way to make each guest feel very special. 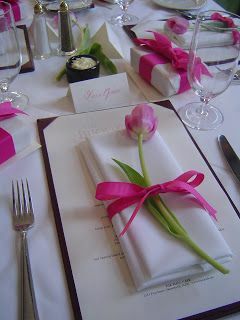 Flowers at each place also provide extra touches of your wedding or event colors at what could otherwise be a bland spot. Let your own imagination go! If you have any extra ideas, we would love to hear them! Feel free to send a note to [email protected] Happy Wedding Planning!